Begin van het jaar sprak ik op deze site de wens uit om in 2017 een grote naam te mogen interviewen. Elf maanden later kwam deze wens uit. Op 18 november was de meer dan 2 meter lange Finse ex-basketballer Joonas Suotamo te gast op Dutch Comic Con in Utrecht. 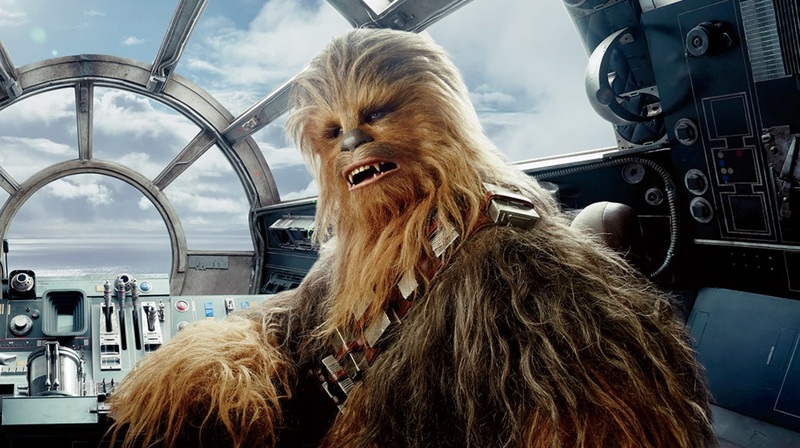 Star Wars fans kennen hem als Chewbacca, een rol die hij in The Force Awakens en The Last Jedi nog deelde met de oorspronkelijke Chewbacca-acteur Peter Mayhew, maar vanaf Solo: A Star Wars Story voortaan helemaal zelf voor zijn rekening neemt. Letterlijk én figuurlijk dus een grote naam! How did a basketball player from Finland become a Wookiee in a Galaxy Far Far Away? I was made aware of the casting process and the fact they were looking for someone to play Chewbacca by a Facebook post. At the time I didn’t think I would get it. But time went by and three months later they called me because they had learned through the basketball association of Finland that I was tall, had blue eyes and they became interested and that is how it happened. I had to audition then and got the part. That was a VHS tape back in the nineties… or maybe even earlier… I was very young. What did you think of the movies? I loved it. I thought it was an essential thing, I took it for granted. I mean, in the sense that it was in my world. It was there before I was born. I appreciated and respected it and I think that paid off in the end. What did you think of Chewbacca? Chewbacca was that tall hairy guy walking behind everybody in the scenes. I must say I wanted to be Luke Skywalker when I was little because of my blonde hair. But then when I got taller than almost everybody by 2 feet I realized I couldn’t be Luke Skywalker basically. You were destined to play Chewbacca. Exactly. But all of that came much later. You worked with Peter Mayhew on two movies. What advice or instructions did he gave you regarding playing Chewbacca and taking over the role. In The Force Awakens most of Chewbacca’s scenes had Harrison Ford as Han Solo in it as well. How was it to work with such a famous well-known actor? A little bit scary at first but once you got to work with him more you realize he just wants to do his best like we all do and it was very easy to focus on the work when he was around because he is such a professional. He just comes on set, leaves his life behind him in the trailer and wants to do the scene. It’s a straight to business kind of approach which I like when we’re making films. The most iconic scene of The Force Awakens is the one where Solo and Chewbacca enter the Falcon. I believe that was you and not Peter Mayhew in the suit, right? I can tell because of your eyes. Chewbacca’s eyes in that scene are yours. What do you think of the enormous positive reactions this scene received from the fans when it appeared in the trailer? I was watching the reaction videos of people watching that trailer and it was insane to see how people reacted. Half of it was seeing Harrison Ford and the other half was seeing Chewie. You couldn’t tell anyone back then it was you in the suit. Was that frustrating? I learned to accept it you know. I can’t really tell about who played Chewbacca in which scene. I mean, I could, but it’s out of respect for Peter and I don’t want to get into it. I am still grateful I got to be a part of all this. How was the main cast of The Force Awakens , Daisy Ridley and John Boyega, to work with? They were just amazing. The only thing is that since they’re both from London they talk so fast sometimes! It can be hard to follow them! 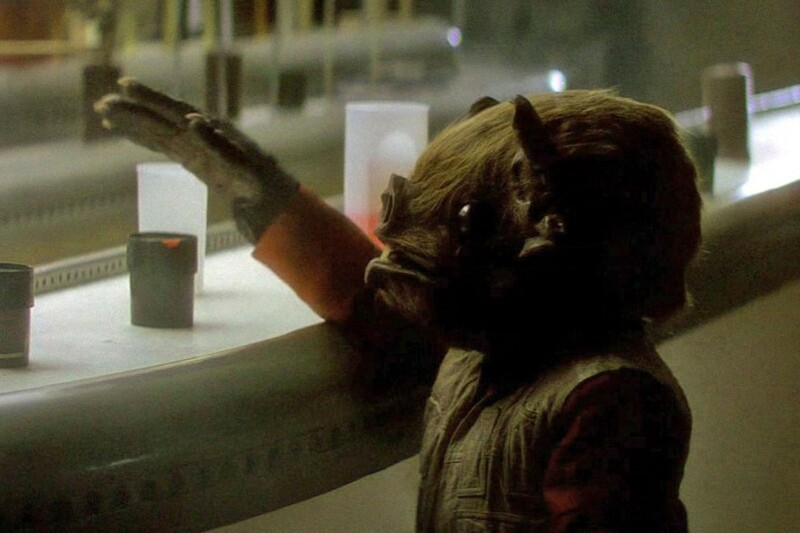 What do you regard as the best moment you’ve had playing Chewbacca so far? We just finished shooting this film (Solo: A Star Wars Story) that I can’t talk to you about at all (laughs). There were some good moments there! Ok, I will have to skip the next five questions then! (Laughs) There were some great moments there. Well, I got to say, doing interactions with the Porgs in The Last Jedi was very interesting. I can’t wait to see those. But you know how it will end? Yeah, I read the script. Ok… I won’t ask anything about the ending. (Laughs) I wouldn’t say anything! What was the weirdest thing that happened on the set of The Force Awakens? Harrison is such a presence that anything he said was always funny. He liked the fact that he was back playing Han Solo and if he said something everyone would be listening and it was very energetic and I really liked that. What was weird seeing was him almost getting killed in the incident where the door landed on his foot. I was there when it happened and I thought he was dead. Luckily he wasn’t! Well, he is Han Solo… and Indiana Jones! Regarding Han Solo: in the Han Solo spinoff movie you play alongside Alden Ehrenreich who is taking over the role. What do you think of his portrayal as Solo? Well, no one has seen any footage yet, but I can tell you everyone will be pleasantly surprised with his performance and with the direction of that movie, storywise. A couple of months ago the Solo movie got a new director: Ron Howard. A good move? Ron Howard is a great and legendary director. He’s old-school. For instance, I did this scene where I had to walk for the sixteenth time. He noticed from the way I was walking I was a bit tired, so he came up to me and said I should relax and take a breath. My career has just started and I have already worked with so many great directors. 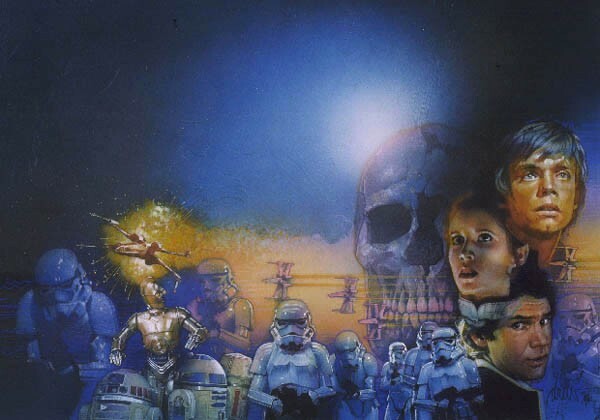 After this trilogy has ended will we see you as Chewbacca or another character in a new Star Wars movie or TV series? I hope so. I also want to explore other roles in other movies. Yes, but it’s way too early to say anything about it. I haven’t been contacted about that yet. Well, I hope they will! Thanks for the interview and I can’t wait to see Chewbacca again in The Last Jedi and in Solo: A Star Wars Story!